The assumption has generally been that Mars formed near Earth from the same building blocks, but that conjecture raises a big question: why are the two planets so different in composition? 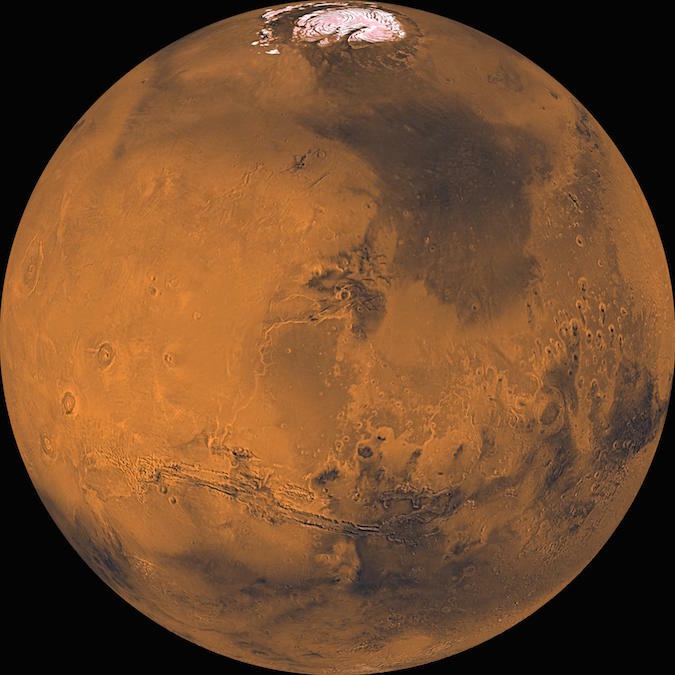 Mars contains different, lighter, silicates than Earth, more akin to those found in meteorites. In an attempt to explain why the elements and isotopes on Mars differ widely from those on Earth, researchers from Japan, the United States and the United Kingdom ran simulations to gain insights into the Red Planet’s movement within the Solar System. Even though the study’s simulations suggested that the most probable explanation is that Mars formed near Earth, that model doesn’t account for the compositional differences between the two planets. Thus, researchers paid particular attention to simulations consistent with the so-called Grand Tack model, which suggests that Jupiter played a major role in the formation and final orbital architecture of the inner planets. The theory holds that a newly-established Jupiter plowed a large concentration of mass towards the Sun, which contributed to the formation of Earth and Venus, while simultaneously pushing material away from Mars, accounting for the planet’s small mass (roughly 11 percent that of Earth) and the difference between the two planets’ compositions. In Grand Tack simulations, the researchers gleaned additional insight into Mars’ formation. A small percentage of the simulations suggested that Mars formed much farther from the Sun than it is now and that Jupiter’s gravitational pull pushed Mars into its current position. University of Colorado Geological Sciences professor Stephen Mojzsis, a co-author of the study, isn’t concerned by the low probability of this scenario taking place. “Low probability means one of two things: that we don’t have a better physical mechanism to explain Mars’ formation or in the enormous panoply of possibilities we ended up with one that is relatively rare,” he says, noting that the latter seems to be the best conclusion. Mojzsis also keeps such terms in perspective. “Keep in mind that rare is relative,” when it comes to space, he says, and rare outcomes do happen. What are the chances that Earth would cross orbits with the asteroid that hit the Yucatan and rendered the dinosaurs extinct? One implication of Mars forming farther away from the Sun is that the planet would have been colder than originally thought—perhaps too cold for liquid water or to sustain life. This theory would seem to challenge the idea that Mars was once far warmer and wetter than it is now. Mojzsis argues that there’s plenty of time in Mars’ early history for it to have been both colder and farther away and at times for for it to have experienced warm, wet periods. “Mars’ formation in the Asteroid Belt took place very early in Mars’ history, well before the crust stabilized and the atmosphere was established,” he says. 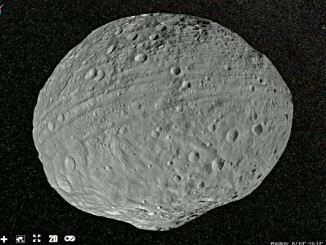 In a paper he co-authored last year, Mojzsis concludes that late in Mars’ planetary formation it was bombarded by asteroids that formed the planet’s countless craters. Such large impacts could “melt the cryosphere and Mars’ crust to densify Mars’ atmosphere and to restart the hydrologic cycle,” Mojzsis says. While many scientists are beginning to embrace the idea of planetary migration, studies such as this raise additional questions regarding the planets and their histories. What is Venus’ composition and how does it compare to that of Earth? Confirmation of similarities between Venus and Earth would circumstantially support the idea that, in the Grand Tack theory, Jupiter pushed material in-system to form Earth and Venus. 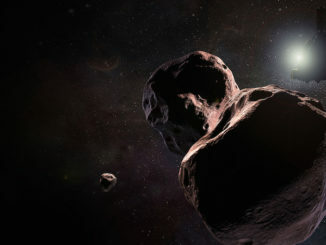 It would also support researchers’ theories about the formation of planets in the inner Solar System, including Mars. However, the lack of any samples, even meteorites, from Venus makes it difficult to answer that question. NASA and the Russian space agency Roscosmos have proposed the joint Venera-D mission that would send an orbiter to Venus around 2025, which may yield some clues to the planet’s composition. Mojzsis also points out that one of the problems we face is trying to understand how the giant planets formed. 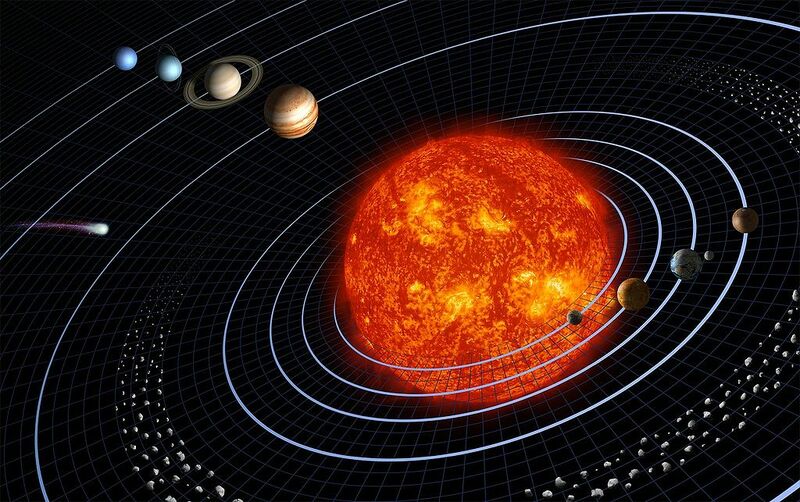 Jupiter, Saturn, Uranus, and Neptune couldn’t have formed where they now reside because the Outer Solar System didn’t have enough mass early on to account for these giant worlds, he says. Mojzsis’ recent work also focuses on how Jupiter ended up in its current position and how its formation corresponds with the dispersal of gas and dust from the Sun’s planet-forming disc. Little by little, scientists are gaining a greater understanding of the Solar System’s history—and of the nature of planetary formation in our galactic neighborhood. Mojzsis’ work was supported in part by NASA’s Exobiology and Evolutionary Biology Program and by the John Templeton Foundation-FfAME origins project. 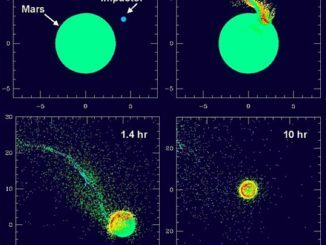 Sophisticated computer modeling indicates Mars’ two small moons likely formed as the result of a relatively modest-size impactor, not a much larger body as previously theorized.